In burglaries the emotional aspect of the victims is more important than the economic one. The Police in Spain is concerned. Not to generate alarm they do not say it publicly, but they are putting all their means to end a serious problem that does not stop to grow: the force burglaries in homes. 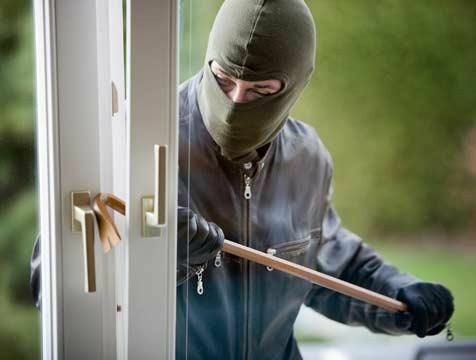 In the first three months of 2013, more than 33,500 burglaries were committed to homes, an increase of 6.1% over the same quarter of the previous year (31,800), according to data from the Ministry of the Interior. The State Security Corps has special units that goes to the most problematic places to try to alleviate the commission of this type of crime that is of great concern to the citizens, not only from the economic point of view, but also and more importantly, from the psychological. Peter and his wife took several months to return to their country house after having suffered a burglary. The thieves took more than 5,000 euros worth of valuables and if those affected were already quite suspicious, since the event are even more. Another victim was a victim of burglaries at her home a few years ago in Alicante. He remembers: “It was two o’clock in the morning and I heard a knock on the garage door. We thought (my husband and I) that the noise came from a neighbor’s house. As the television set was on, the thieves opened the car and sat down to wait for us to lie down and steal. Luckily a neighbor came back late from work and looked at the forced door. We rang the bell several times and shouting alerted that they were stealing us. The thieves noticed and fled. We saw three men fleeing from my garage. ” For Mª Ángeles the event caused a certain sense of insecurity and weeks of “bad roll”. Every day 75 burglaries occur in homes in the Valencian Community. “I’ve put bars in all the windows. My house is like a prison. I enter my home and I do not feel protected, I feel strange “, explains a young woman. In Alicante burglaries have increased by 8.6%. As for the case of the Valencian Community, in the first quarter of 2013 have exceeded 6,700 force burglaries in homes, suffering Alicante an increase of 8.6% over the previous year. Almost 75 homes a day are assaulted in our community. According to the projections of a website specializing in insurance, in 2013 there will have been the highest number of burglaries in Spain since this index was measured in 1998, with about 132,500 crimes, which means that every year 1 in 190 Housing is assaulted. Juanjo Cerrajeros has economic and effective solutions for their needs. Do not wait to be robbed, call today Juanjo Cerrajeros Alicante, your security specialist and we will analyze without compromise the situation of insecurity of your home or business and we will recommend you according to your possibilities the most indicated solutions. Bolts, security cylinders with copy protection key, armored doors, electronic cylinders, vandal-proof locks, safes and a long etc. of other security features. 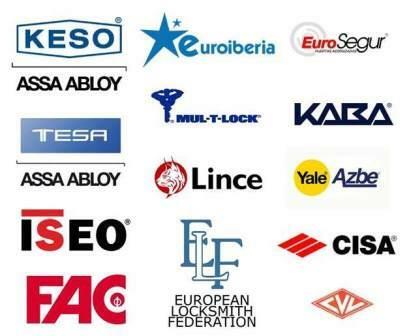 The range of systems that Juanjo Cerrajeos Alicante is ready to install in your home or business is constantly evolving, because Juanjo Cerrajeros continues his incessant adoption and learning of new techniques and materials to offer you the elements of security with greater guarantees. If you are looking for an economic locksmith and with 20 years of experience call us at 965154887.